France isn’t known about their beer, well.. I don’t honestly blame them when their wine industry is considered one of the best wine regions on the entire planet. When you’re insanely good at something, it’s hard to focus on being amazing at other things too. Beer isn’t a beverage that ever became a local staple like it has here in North America. Instead of drinking beer with a great steak dinner, it’s usually with a glass of wine. All that said - the French CAN brew beer if wine is their craft. I’ve had several beers from France before, most of them tasted almost as bad as anything over at Minhas Creek, remember them? 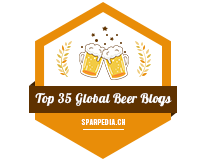 While most French beers make me wish I was drinking a Bud Light Chelada, not all French beers are horrible - French-Belgium and Quebec alone are considered some of the best beer-producing regions on the entire planet. Also, in France, I’ve had some decent French beers, including a smoked ale, which is exactly what it sounds like. Kronenbourg 1664 is the most famous brand of French beers on the planet, you can find it at your local liquor store, you can sometimes find it at pubs and it’s affordable as well! Kronenbourg 1664 is your standard European lager, a bit skunky, quite grainy and some notes of corn, not an overly appetizing beer in my tastes. Then… there’s Kronenbourg 1664 Blanc, the newest beer by les Brasseries Kronenbourg. 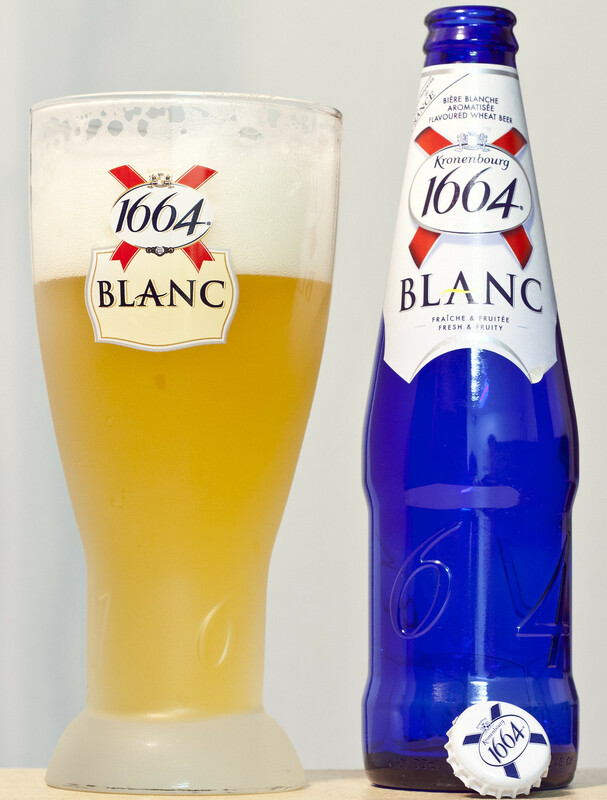 1664 Blanc is a French take on Belgian-style witbiers. Witbiers are beers brewed with malted wheat and barley, generally unfiltered which gives the beer a cloudy appearance and a flavour of orange peel, coriander and lots of yeast. Witbiers have been a staple at Brandon pubs since 2006 when Rickard’s White came to town and now there’s several varieties of witbiers available due to demand. Brasserie Kronenbourg’s 1664 Blanc seems to be your typical Belgian-style witbier, except for the fact that it comes in a blue bottle, that’s right! When’s the last time you had a beer from a blue bottle? Probably not recently. 1664 Blanc pours like a standard Belgian witbier, a cloudy light yellow (straw) body, thick amount of creamy white foam to give it a beautiful head (topping). From the aroma, I’m getting scents of peaches, fresh oranges and even a bit of a spicy cinnamon! Mostly, sweet tropical fruits dominate the beer’s aroma more than anything else. Taste-wise, 1664 Blanc unfortunately doesn’t live up to the aromatic hype as the beer is lacking the sweet tropical fruitiness in the taste. What I’m tasting here is a bit of a watered down wheat ale with a hint of orange peels, lots of coriander, yeast and too much sugar. It’s sweet, but not in the natural tropical fruity sweet way that I was expecting. I get an aftertaste of mostly yeast and sugar more than anything else that I notice. For it being a beer from France, this is one of the better French beers on the market today, it’s an easy drinking wheat ale, incredibly smooth and light, tropically aromatic and a beer best enjoyed with salad, fresh fish, shellfish and Monterrey or Pepper Jack Cheese. 1664 Blanc is certainly not the best wheat ale out on the market today, but for me, being someone who loves to try beers from all over the world, it gives the beer drinker a bit of insight of how beer styles differ by region by region around the world! I’ve had this beer on tap at a pub in Winnipeg once and on tap, it was a bit more fruitier, perhaps because it served by keg instead of a blue bottle? BUT - Kronenbourg’s blue bottle really pops out at me! Kronenbourg 1664 Blanc is 5.0% alcohol by volume, available in 330mL bottles at Liquormarts in Brandon, Neepawa and Russell for $2.26 per bottle. Phillips Bottle Rocket India Session Ale - Described as being packed with bright, hoppy bitterness sure to ignite your tastebuds. This beer is light in colour and medium bodied but packs a hop blast sure to satisfy the most seasoned Hoprotechnician. 5% ABV. 355mL can for $2.69 at the Brandon 10th & Victoria Liquormart. Dead Frog Classic Nut Brown Ale - This beer was previously available in Manitoba but didn’t sell well. Not only that, Dead Frog Brewing was hemorrhaging money. In 2012, the brewery asked Virden’s own Jim Treliving for help them stay afloat through CBC’s “The Big Decision”. 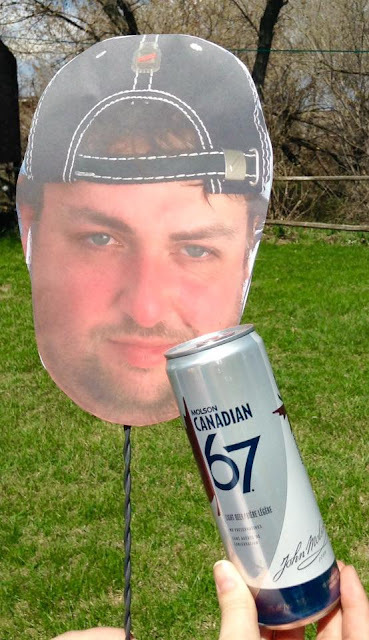 The brewery didn’t end up partnering up with Treliving to save the brewery from closure. Instead, the brewery was restructured, stopped brewing beers that didn’t sell and tweaked the recipes of beers that were selling in the first place. The new revamped version of Classic Nut Brown Ale is a great treat for those who like a dark ale, but find stouts just a bit too thick and creamy. 5.0% ABV for a 355mL bottle. Available at the Brandon 10th & Victoria Liquormart and the Liquormart in Roblin.